Los Cenzontles is proud of its unique history of promoting many styles of traditional Mexican music and dance in the Bay Area and beyond. One of the first styles that we studied and promoted was the Son Jarocho of Southern Veracruz. Here are highlights of that history. In 1989 while an Artist in Resident of the California Arts Council our director, Eugene Rodriguez, met group Mono Blanco from Veracruz. Its leader Gilberto Gutierrez had led a revival of the fandango Jarocho in Veracruz since the late 1970’s. The fandango, a social dance centered around traditional music and dance, flourished throughout Mexico in the 19th century. Eugene felt that the improvised fandango approach could reinvigorate traditional Mexican music in California which he felt had become increasingly arranged, choreographed, and staged. For years to follow Eugene and Gilberto partnered to bring the fandango version of the son Jarocho, the musical style of Southern Veracruz, to California. The 1989 visit by Mono Blanco was the first exposure to the fandango style in Northern California. That trip featured Gilberto with veteran requintero Andres Vega, young jaranero Patricio Hidalgo, and veteran harpist Andres Alfonso. During that trip Chris Strachwitz of Arhoolie Records recorded the group and later released the album, Soneros Jarochos, with liner notes by Eugene Rodriguez. In 1990 Eugene invited Gilberto back to the Bay Area to conduct workshops with his half brother Ramon Gutierrez, now of the group Son de Madera. They also began to organize the 1991 trip for the young students of Los Cenzontles to study with Mono Blanco at the Instituto Veracruzano de Cultura in the port of Veracruz and participate in the fandango patronal in the town Santiago Tuxtla, Veracruz. Los Cenzontles were among the first waves of Mexican Americans visiting the remote areas of Veracruz to experience the social culture of the fandango. Eugene and the students’ families organized fundraisers for these trips by recording and selling music cassettes and playing at flea markets and street corners. This is a clip from the fandango in the provincial town of Santiago Tuxtla featuring local people and members of Los Cenzontles. Upon return Eugene showed the video, which was something new to most people, to folklorist Barabara Rahm at a California Arts Council artist retreat in Asilomar. She counseled him on how to prepare proposals to gain support for his vision. With support from the U.S. Mexico Fund for Culture Eugene established the Fandango Project under the fiscal sponsorship of Intersection for the Arts to create a three-year residency (1992-95) of music, dance, and traditional instrument building workshops by Gilberto Gutierrez Bay Area organizations including La Peña Cultural Center, The Exploratorium and The East Bay Center where Eugene was working since 1985. Photographer Silvia Gonzalez de Leon and videographer John Bishop documented the project. Here is an excerpt of the Fandango Project video by John Bishop shot in Richmond, CA. The Fandango Project also sponsored visits and residencies for many Jarocho musicians on their premiere and subsequent visits to the U.S. These included Ramon Gutierrez, Tacho Utrera, Dalmacio Cobos, Tacho Utrera, Octavio Vega, Rubicela Cobos, Licha Cobos, Cesar Castro, Gisela Farias and others. Here is a video of a 1993 visit by eight, mostly rural, Jarocho musicians and dancers in a fandango at the San Francisco Cinco de Mayo Festival. In 1993 Eugene and Gilberto organized a second trip by the students of Los Cenzontles to attend a youth music and dance camp of Son Jarocho in Pajapan, a remote Nahualt village. For a week they lived, played, and danced with Mestizo and Indigenous children. Filmmaker Phillip Rodriguez documented the camp on video. Here is a clip from that camp. With these rich direct experiences the young members of Los Cenzontles gained strong knowledge and skill in interpreting the music. There were minimal barriers between the members of Los Cenzontles and their Jarocho student counterparts and master teachers. Culture was viewed as fluid. Here is a blog post by Eugene Rodriguez explaining his core beliefs about tradition in a modern society entitled Tradition and the Inevitability of Change. Eugene incorporated Los Cenzontles Mexican Arts Center as a non-profit organization in 1994 to be able to expand their work in the community. The neighborhood was changing dramatically because of heavy Mexican immigration. The young immigrants wore their Mexican culture proudly. They danced and listened to popular Mexican music rooted in tradition such as quebradita and formed their own bandas and norteño groups. They ached for instruction in the music and connection to the culture. Los Cenzontles became one of the few places for them to learn in a structured environment. It was also the rare place where American born and Mexican born young people coexisted openly and productively. Culture was the bridge. Among our first faculty members were Gilberto Gutierrez teaching the Son Jarocho and Silvia Gonzalez teaching artesania; Francisco ‘Pato’ Diaz taught mariachi; and Tom Fuglestad and Mara Fox taught trumpet and trombone to our banda students. 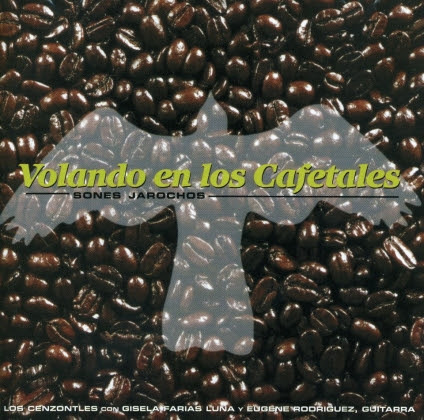 From 1993 to 96 Gilberto and Eugene worked on the album Se Acaba El Mundo mixing the traditional Son Jarocho with other world cultures that included Cuba, Venezuela, West Africa, and Baroque Europe. The album, the first of its kind, featured Bay Area musicians Fito Reynoso, Jorge Pomar, John Santos, Jackeline Rago, Shira Kammen, Pepe Jacobo, Hector Lugo, Willie Ludwig and others. 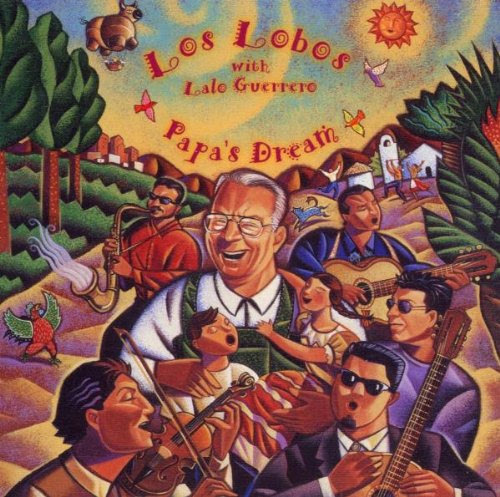 That same year Eugene also invited Gilberto to participate in the Papa’s Dream children’s album that he produced for Los Lobos and Lalo Guerrero in Los Angeles. It was nominated for a Grammy Award for best musical album for children. 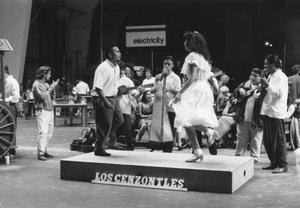 In 1997 Los Cenzontles sponsored the Festival of Youth in the Tradition that celebrated banda, mariachi and son Jarocho styles of music. It was designed to encourage young people to invest in traditional music. Participants included legends Lalo Guerrero, Yolanda del Rio and Graciela Beltran, Banda Rio Verde, Mariachi Azteca de San Jose as well as youth groups. Representing the son Jarocho were Conjunto Hueyapan of Southern California, Mono Blanco and a group of Indigenous youth who Los Cenzontles brought from Veracruz. And, of course, the students of Los Cenzontles were deeply involved. The Festival, sponsored by the California Arts Council, U.S. Mexico Fund for Culture, The West Contra Costa Unified School District, and Mervyns, took place at various locations in Richmond and San Pablo including The Richmond Auditorium, Contra Costa College and Maple Hall, San Pablo. 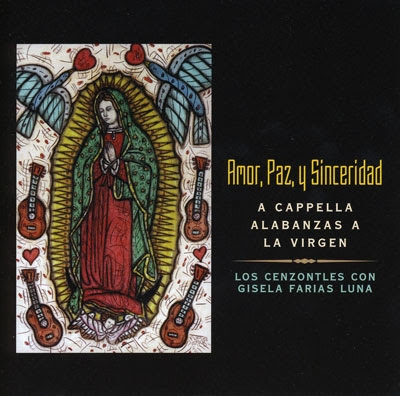 In 1998 Los Cenzontles invited rural Jarocha musician Gisela Farias to live with them for a three-month residency during which time they recorded an album of son Jarocho Volando en los Cafetales and an album of Alabanzas a la Virgen Amor, Paz Y Sinceridad that Gisela taught Los Cenzontles. 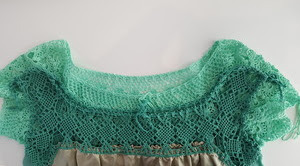 At this time Marie-Astrid Do-Rodriguez, master artesan at Los Cenzontles, was innovating traditional crochet for Jarocho blouses, introducing new colors and designs, and sharing them with rural women who integrated her ideas into their work. In the early 2000’s Los Cenzontles began to expand the fandango model to other styles of Mexican music. Most Mexicans in the Bay Area have roots in Mexican regions other than Veracruz, especially Michoacan and Jalisco. Recent immigration brought a renewed sense of living traditions to California. And some of the newcomers were, themselves, masters of traditions. Los Cenzontles sought maestros to teach family and community based approaches to their traditions. They found Julian Gonzalez of the traditional mariachi of Jalisco and Atilano Lopez of P’urepecha Michoacan and began studying and promoting these wonderful traditions as well. In 2001 Los Cenzontles launched its Cuatro Maestros album and California tour representing four master artists from their respective cultures: The traditional mariachi with Julian Gonzalez; Conjunto Tejano with Santiago Jimenez Jr.; The pirekua and son abajeño P’urepecha de Michoacan with Atilano Lopez; and The Son Jarocho with Andres Vega and Mono Blanco. The tour, featuring the maestros with their groups and Los Cenzontles, performed throughout California including Arte Americas, Fresno; CSUs Sacramento and Monterey Bay; Julia Morgan Theater, Berkeley, and the California Plaza in Los Angeles. It was sponsored by a special grant of the California Arts Council. The performance at CSU Monterrey Bay was filmed and edited by Phil Esparza. 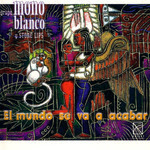 Soon after, Los Cenzontles returned to Los Angeles with Mono Blanco to perform at the Skirball Cultural Center. Throughout the 2000’s to the present, Los Cenzontles continued to produce workshops and performances by visiting Jarocho that included Son de Madera, Los Cojolites, Alfredo Herrera, Patricio Hidalgo, Andres Flores, and Los Vega. All this while Los Cenzontles cultivated its own musicians and dancers with notable examples such as Hugo Arroyo, known for his marvelous jarana playing and singing; Lucina Rodriguez, a talented dancer, jarana player, singer, and teacher of new generations of Cenzontles; and Emiliano Rodriguez, an excellent player of the leon and bass of the son Jarocho and other regional styles. Los Cenzontles continue to develop our own variations of the son, composing original sones and fusing the style with other world cultures including Irish legends The Chieftains, blues master Taj Mahal, Ry Cooder and the David Hidalgo of Los Lobos on numerous projects including an exploration of the historic connections between Veracruz and Creole Louisiana. Los Cenzontles has now recorded 24 albums and hundreds of videos. Los Cenzontles released its influential documentary Fandango, Buscando al Mono Blanco, directed by Ricardo Braojos, in 2005. The documentary was screened at a number of festivals in Mexico and celebrated in the United States as well. The Oakland Museum hosted a celebratory event in 2005 that featured a screening of the film and a fandango with Mono Blanco, Los Cenzontles and the community at large. The bridge between Veracruz and California was becoming increasingly well traveled and the fandango had enjoyed a great deal of popularity throughout the country thanks to many projects. We are particularly grateful that we were able to have experienced the early days when the nuance and rural flavor of the son was in full flower. 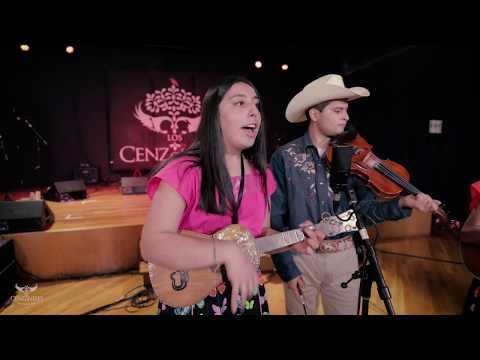 Today, the touring group and students of Los Cenzontles continue to explore the beauty and power of the Son Jarocho among other wonderful Mexican and Mexican American styles and original music at our Cultural Academy, performances and media projects. Our organization continues to grow its impact within and without our community. It is easy to forget how challenging the early years of promoting the fandango were. Introducing something new always finds resistance. But Los Cenzontles has persevered with the faith in our traditions that are from and for our community. They are grateful for all the lessons learned from the wonderful traditional musicians and cultures they have studied. And it has been a privilege to have supported so many artists throughout these years. This sharing is what culture is about.